When I was in the process of buying my own phone last year, I was faced with a dilemma. As I was still a poor student, at my price point I could have either picked a current midrange phone, or a last generation flagship. I knew the older phone would be able to still perform, but on the other hand, a newer phone could possibly have more efficient technology underneath. With the way mobile technology as a whole has been slowing down in terms of noticeable enhancements, I knew either choice could get me similar performance. 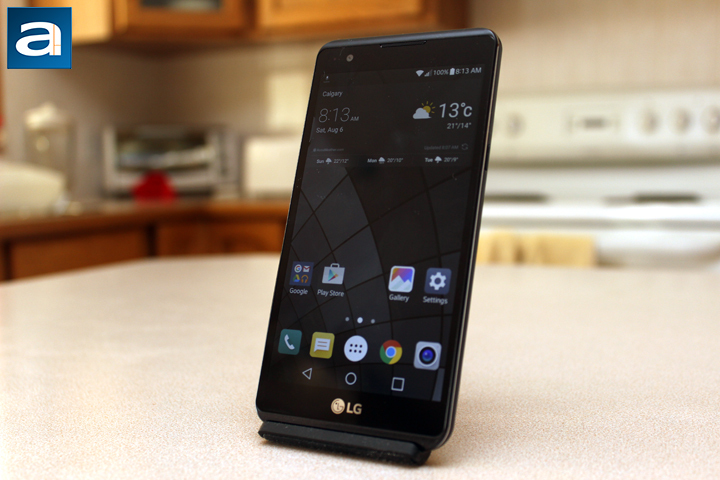 As you might know, I ended up going with the old flagship, picking up the LG G3. My decision was based on my belief flagship phones will hold its value for other reasons. In addition, it was also helped by the fact there was a nice large gift card for me if I chose the LG G3. However, this question has still not left my mind. When LG contacted us to take a look at their new low to midrange smartphone, the LG X power, I realized this was a great opportunity to explore the question, seeing where the advantages and disadvantages lay. In this report, I will be looking at the LG X power in general usage, comparing it with the LG G3, and looking at the pros and cons of choosing one over the other. This might not be as extensive of a look at the LG X power, and it will be more based on my personal use case, but hopefully it will help when you make your cellphone decisions too. 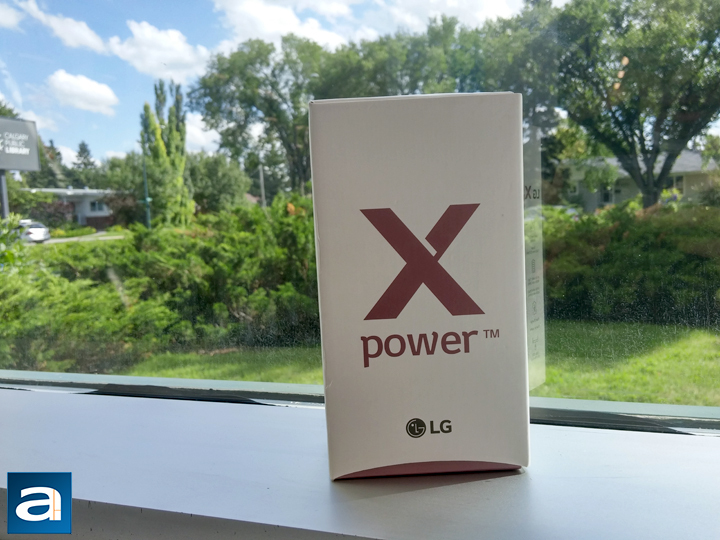 Today's review unit of the LG X power arrived from Toronto, Ontario via Purolator Express. We do not get a lot of review units from this shipping company, as there are other larger and cheaper options out there. 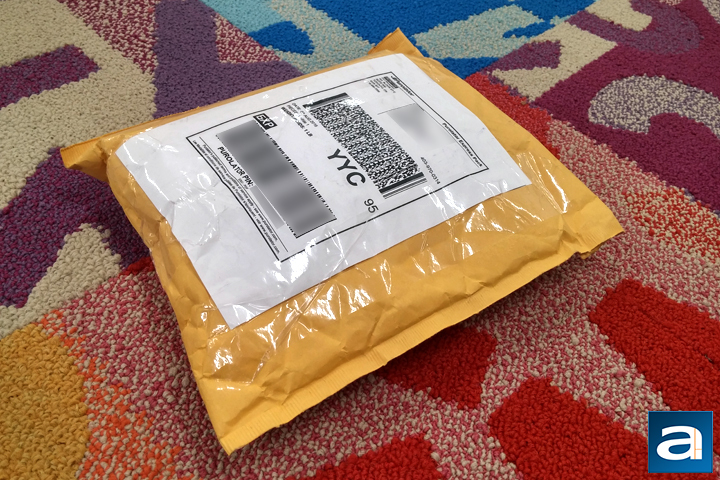 Even so, our package arrived in a yellow envelope with the LG X power inside. While the goldenrod yellow packaging looks creased, I can assure you the inner contents are in excellent condition. 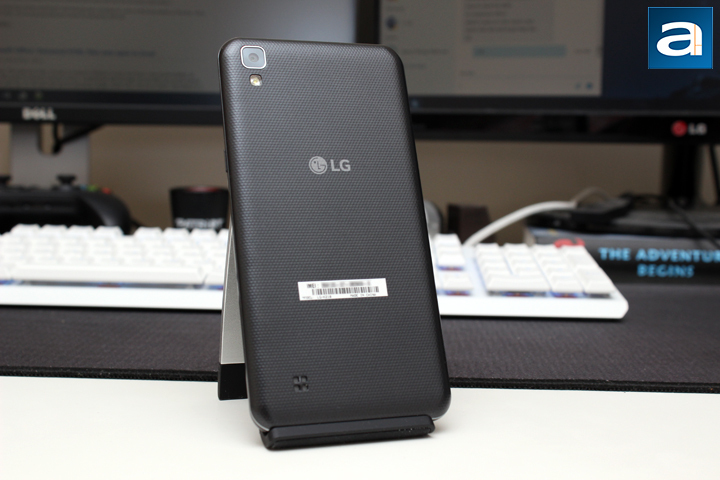 The LG G3 I will be using for comparison was obtained through a local retailer. I should note I have been using it for approximately ten months now, so some things, including battery life, may not be as great as it was on day one due to normal wear and tear. I was a bit impatient in opening up the package, so once I picked it up from Purolator, I drove over to the local library to open it up. Inside we have a look at the LG X power's retail container. Unlike most of the products we look at here at APH Networks, mobile phones come in very simple boxes. As the experience is less about eye candy and more about the product itself, this is understandable. The front comes in a white and dark pink coloring scheme. For a second, I was a little nervous LG sent us the pink version of this phone, but thankfully no such thing exists. In Canada, the only version of the X power available to us is the black version. The side of the box shows some features and specifications, with the back of the box showing more fine print. Out of the box, you will receive the LG X power, a QuickCharge 2.0 certified charger, and a USB 2.0 micro USB to USB cable. No additional accessories such as a pair of earbuds are included here. The phone itself is wrapped in plastic to prevent any surface scratches. - Camera: 8 MP Rear-Facing camera, 5MP Front-Facing Selfie camera. The LG X power is definitely not a looker by any means. It is quite plain and almost boring. The front holds the 5.3" screen with a single red LED notification light, front facing camera, and a light sensor. The top holds a speaker used for phone calling. The front panel is a Corning Gorilla Glass 3, which is relatively durable in day to day use. Finally, an LG logo is located near the bottom in a silver metallic finish. The sides are trimmed with two silver bands, but the rest of it is dark gray or black. A volume rocker can be found on the left side of the phone, while the right holds a power button. The button placement is a bit annoying, since the volume down and power button are directly across from each other. This means sometimes you may power off your phone when you want to lower the volume, or vice versa. Even so, the buttons offer decent feedback, and are raised enough to be easily identified by feel. Near the bottom of the left side is a SIM tray, which pops out. The LG X power takes a Nano SIM. The tray also holds a micro SD card for up to a theoretical extra 2 TB in expansion. Finally, at the bottom, we have two inputs, including a micro USB port and a 3.5 mm headphone jack. Thankfully LG has yet to pull an Apple on any of their devices by removing the headphone jack. The back shows off more typical midrange blandness with a grey textured plastic backing. An LG logo flanks the middle, but the back is otherwise uninteresting. At the top left corner, we have the back facing 8 MP shooter with an LED flash below. We will be looking into camera quality a bit further into the report. At the bottom of the phone, we have a small square cutout for the speaker. You might think this back is easily removable, but alas it is completely sealed in. This means you will not have access to the internal battery. However, with a name containing "power", you can be sure LG stuck a massive battery in there. Inside is a 4100mAh battery, which is much larger than most phones. We will see how this translates to day-to-day use later on. 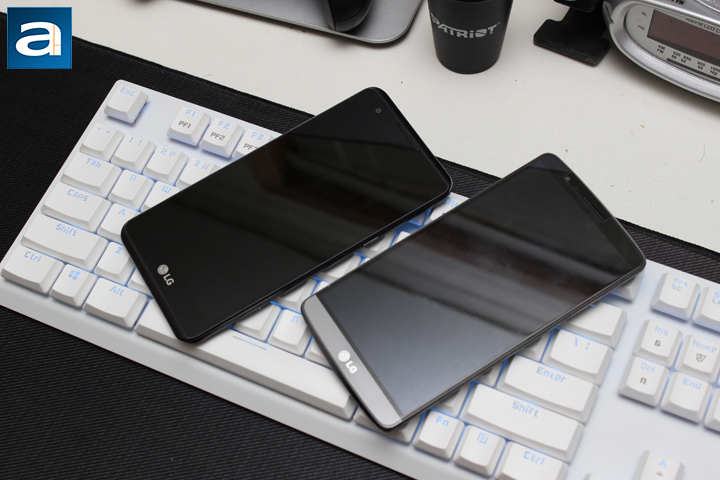 In comparison with the LG G3, you can see the contrast between a midrange phone and a flagship one. Despite being two years old now, the G3 has held its own for being a solidly built phone. It is fully plastic, but it feels more premium. Differences include an extra 0.2" of display on the G3 in addition to a massive bump in resolution. As mentioned previously, the X power holds a 720p display, while the G3 shows off its 1440p display, representing a quadrupling in pixel area. At the time of the release, the G3 was one of the first phones to have a resolution greater than the standard 1080p. This 1440p resolution is now quite standard for top of the line Android devices. When it comes to dimensions, the X power is actually larger in both height and length. 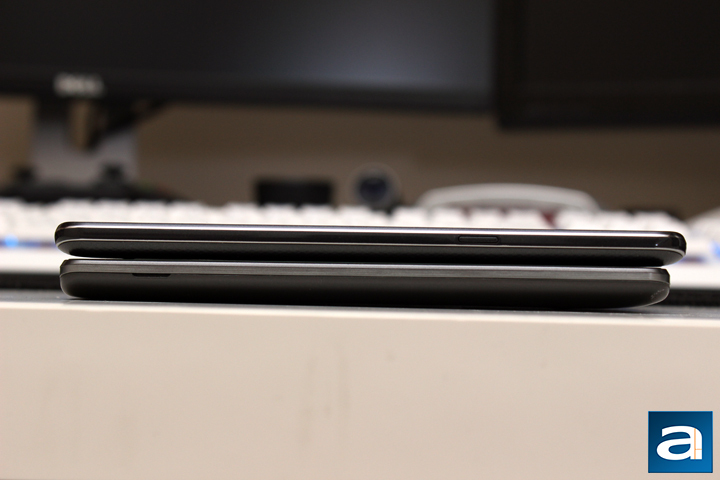 However, the G3 is a whole millimeter thicker. It may not sound like much, but the difference is noticeable. 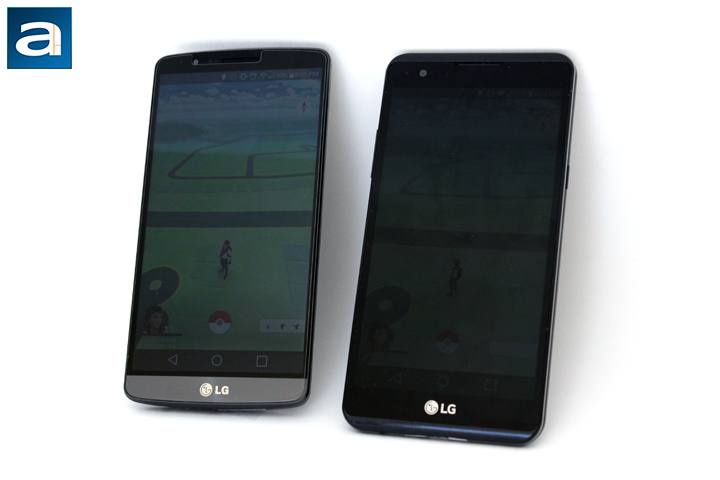 The extra thickness makes the LG G3 easier to hold compared to the LG X power. On the other hand, the LG X power's lightness may be appealing for some, as it tips the scales at around 139g. This is 10 grams lighter than the G3, and at this form factor, this delta is perceivable. Under the hood, the LG X power has average specifications with 1.5GB of RAM and an unlabeled Qualcomm Snapdragon Quad-core processor running at 1.3GHz. I would venture a guess and say it is in the 400-series line for Qualcomm, but these are just my thoughts. Meanwhile, the LG G3 uses the Qualcomm Snapdragon 801 Quad-core clocked at 2.5GHz. It also doubles up the RAM at 3GB. Storage-wise is different, with the X power having 16GB, while the G3 has 32GB. Both are expandable with a micro SD card slot. When it comes to comparing these two phones, day-to-day performance is where you will notice the most differences. Upon turning on the display of the X power, I immediately could tell the difference in resolution. As they are both nearly the same size screen, the sharpness between the two displays is quite apparent. The G3 looks sharper in all circumstances with a pixel density of around 538ppi, while the X power seems just a bit more pixelated at 277ppi. In addition, you will notice the G3's screen is a more vibrant with colors popping out. Meanwhile, the X power's display is faded out. Brightness levels between the two phones are also quite different, as the G3 gets a lot brighter than the X power. On the other hand, the X power is capable of getting darker. Even so, this is a bit subjective as for what you prefer, although the brighter and sharper colors on the G3 are definitely my choice. Both of these phones are running the latest Android Marshmallow operating system, but the G3 is on 6.0, while the X power is on 6.0.1. It should be noted my G3 received Marshmallow this year, despite being a two year old phone, and generally this is the case for flagship devices. As the reputation of manufacturers sometimes hinge on their ability to keep their phones up to date, most major Android device manufacturers try to do so for their flagships. On the other hand, midrange or low end phones do not get this sort of treatment, and are usually left in the dust. While I was testing the X power, I did receive a minor update for some battery improvements. I also doubt either phone will be receiving Android Nougat 7.0 anytime soon either. User interfacing between the two phones are quite similar, although the X power does have a second home screen, which looks terrible and I avoided it as fast as I could. Both run LG's UX interface, and it is a relatively lightweight skin with some LG themes and apps preinstalled. Unfortunately, there was quite a bit of bloatware and duplicated apps between LG and Google, including calendar and email apps. The LG X power also had a bit of Bell Mobility bloat, which could not be uninstalled. Your mileage may vary depending on the source of your phone. My day to day use with phones is a mix of light to moderate usage. I will make the occasional text or phone call, but majority of the use comes from messaging apps, web browsing, and media consumption. In addition, there are times I will throw on Google Maps to find an alternate route to go places. I do have a few games on my phone as well, including Pokémon Go, but these apps are used very sparingly. 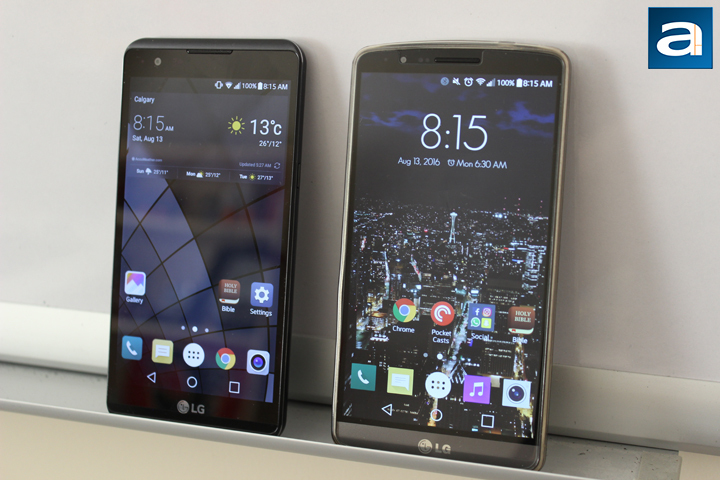 The LG X power was impressive in the fact it never truly stuttered and it was able to keep up. Games like Pokémon Go or Temple Run 2 were playable, but just took a bit longer to load, or suffered from the rare frame drop or two. Of course, the LG G3 had zero issues in this department. What I did like was the fact the X power also stayed very cool during my use. I have read some opposing reviews on this, but I can say at least my unit was running just fine. The LG G3, on the other hand, got a bit warm on regular use. It is not too surprising, considering the older processor used. As for connectivity, the LG X power I received is locked to Bell Mobility in Canada, and thankfully it has LTE. On an aside, it is available on Bell and Telus in addition to their flanker brands, Virgin Mobile and Koodo Mobile, respectively. When it comes to wireless Internet, the X power lacks the latest Wireless-AC standard, limited to only 802.11b/g/n. Even my LG G3 has Wireless-AC, despite being two years old. Otherwise, the X power has Bluetooth 4.1, assisted GPS, and GLONASS, but no NFC. One thing impressive with the LG X power is the battery life. In my experience with the LG X power, I never felt uncomfortable one day without charge. In fact, I was able to make it to three days without charging. The screenshot above is right after I plugged in at 12% battery life remaining at 8 hours of screen on time. This includes mixed usage, with a lot of videos, photo shooting, and regular messaging. Considering most people have screen on times of around four hours, this is quite impressive. In addition, the LG X power charges with Qualcomm's QuickCharge 2.0 technology. Charging from this percentage to full completed in about two to three hours, which is again impressive for the 4100mAh battery inside. 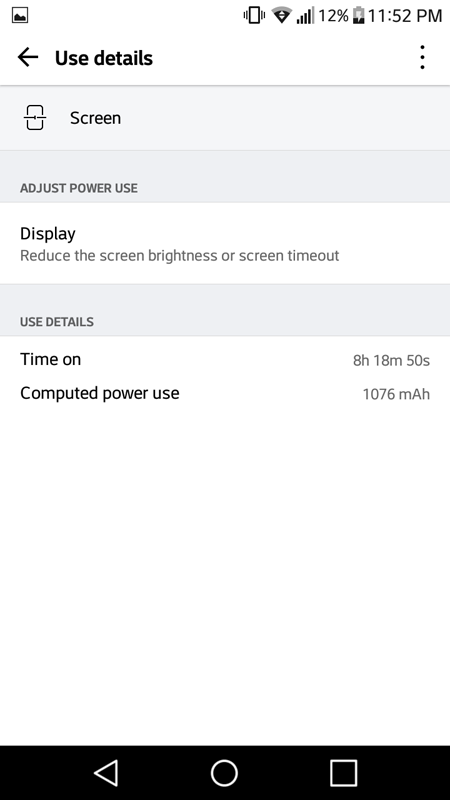 The LG G3 by comparison generally gets me 3.5 to 4 hours of screen on time before needing a charge at the end of the day. It should be noted however, the G3 is featuring an older, more powerful processor, and a much higher resolution display. This undoubtedly will have a greater impact on battery. Even so, I think it is about time to see phone manufacturer's increase the size of the battery in their flagship phones, even if it means increasing the thickness. When it comes to camera performance, this is usually where companies save money on lower end phones, and this is a similar story for the LG X power. For this and the following shots, the X power's photo is shown on top, with the G3's underneath. 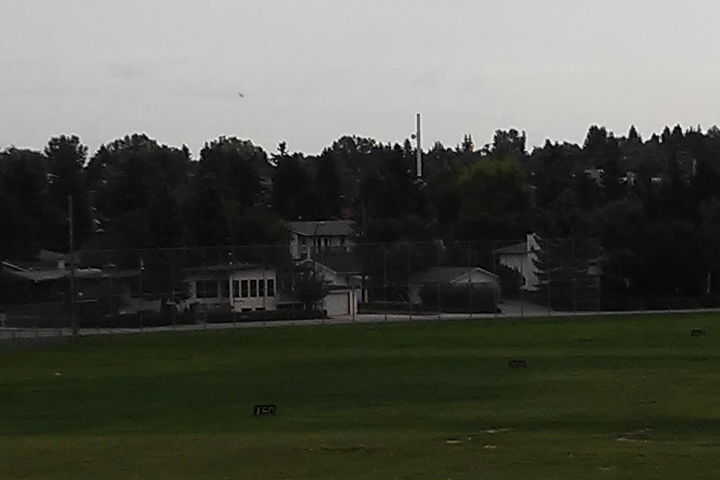 This was at a local driving range on a very cloudy day. 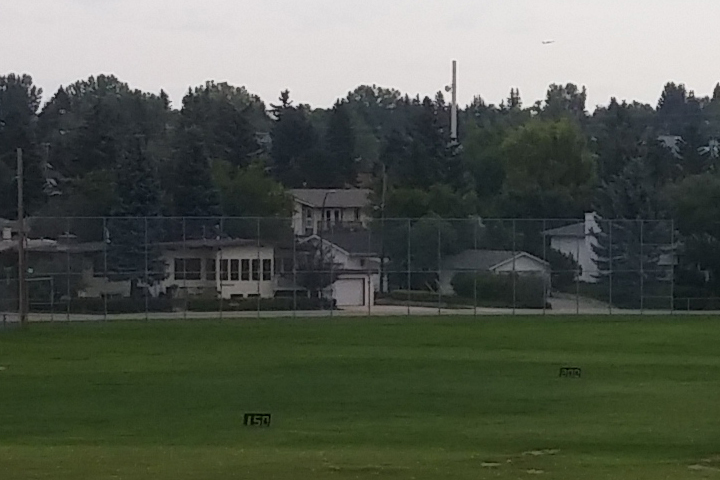 The photo above is at 100% crop, fitted to the standard APH Networks' size. As you can see, there is quite a bit of detail lost in both photos due to the poor lighting conditions. However, you can definitely make out more detail from the G3's shot, including the 150 marker. 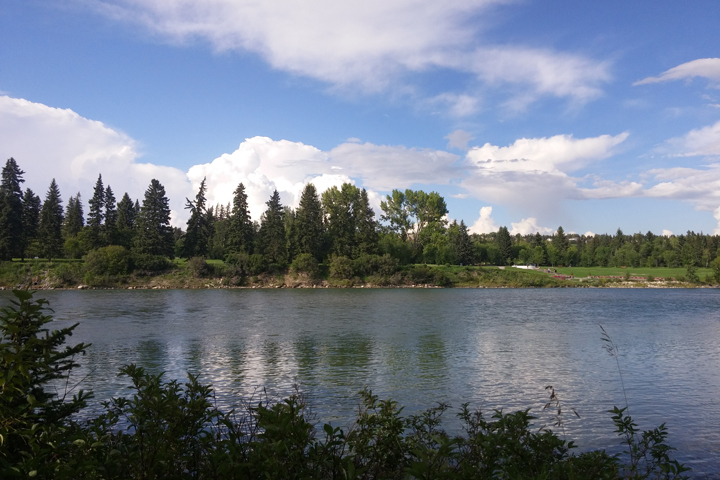 In addition, you can see quite a bit of blur and softness in the outline of the trees and the sky. The G3's photo is noticeably brighter. This being said, the one thing the X power has going for it is the color accuracy, which I found to be a smidgen more realistic in this and the following photos. 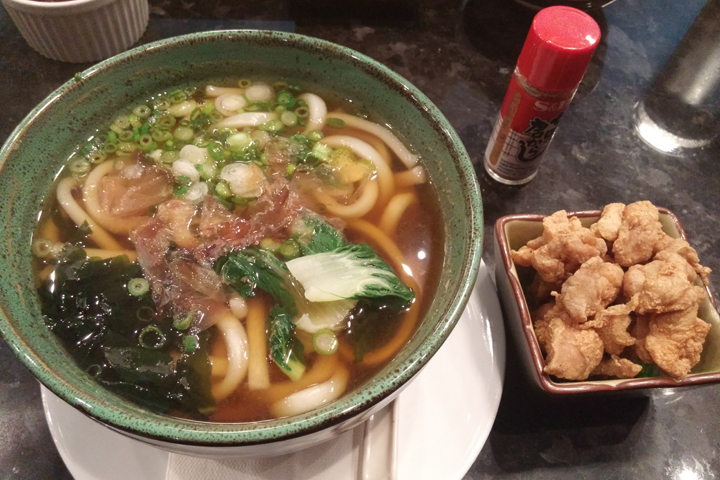 As expected from me, the next photo is a food photo, used to demonstrate more indoor lighting conditions. 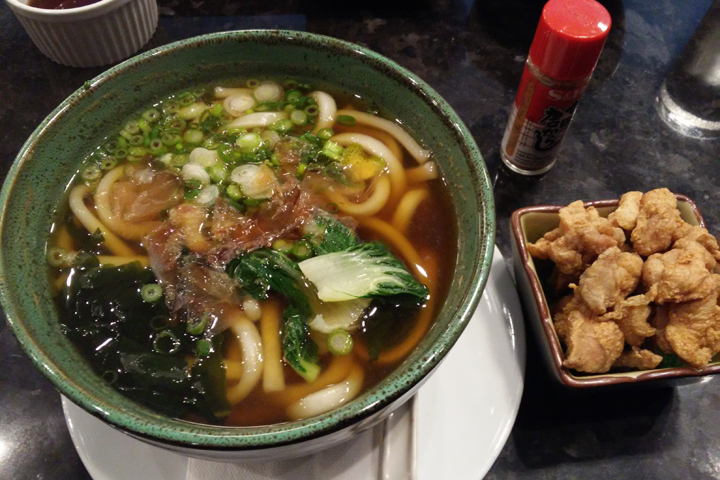 However, with restaurants, you will probably notice lighting is a bit better than elsewhere. Again you can see the G3's shot is plain brighter. I will say the color accuracy on the X power is actually a tad better, with a general amount of extra red coming in to the G3's picture. Tapping to focus on either phone is similar, although I feel like the G3 is just slightly faster. In better lighting conditions, both of these phones take reasonably good shots, especially when looking from afar. However, zooming in is where you can find issues with focusing. It is understandable the water will be blurry, especially as it is moving, but the G3 seems to capture it faster, resulting in less motion blur. 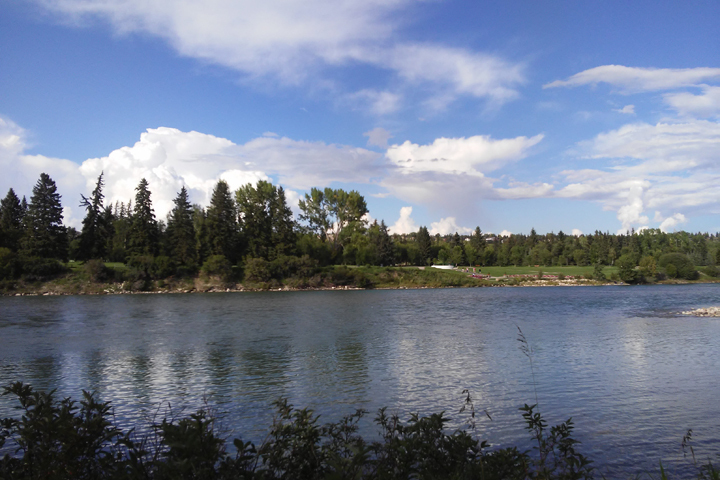 The photo from the X power again loses details in the trees on the other side of the shore and even the water. Color from the G3 is not washed out, and there is even detail in the closer trees, while the X power fades these plant lives to shadows. Obviously to the LG G3, all plant life... is important. Ah, the selfie camera. This is one of the few places where the X power has beat the G3 in terms of raw numbers. The front facing camera is a 5MP shooter on the X power, while it is only a 2.1MP camera on the G3. 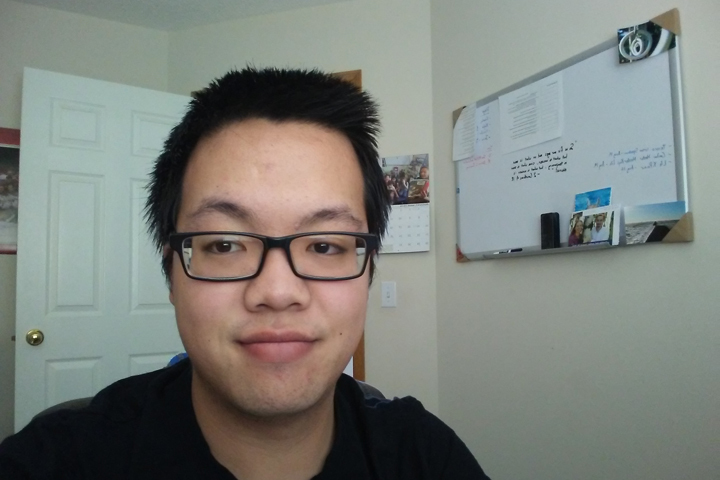 In practice, I think the front facing camera on both cameras are average. 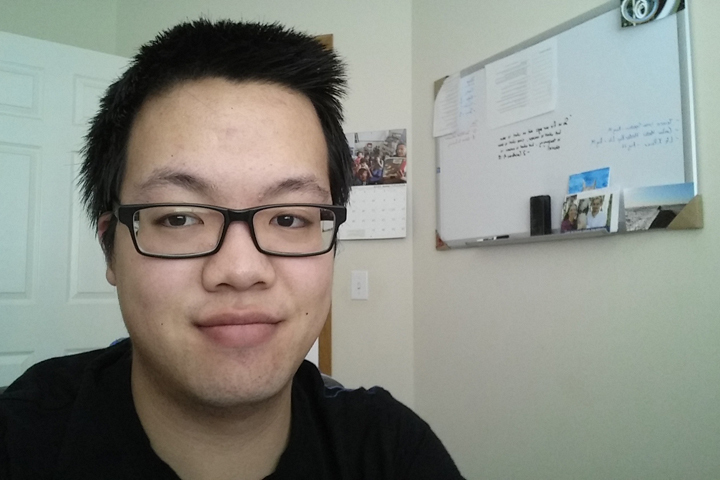 The LG G3 produces a sharper image, while the X power's front facing camera produces a photo with better color representation. Finally, when it comes to media consumption, the LG X power is generally capable. For obvious reasons, videos display at a maximum resolution of 720p. The screen again plays a major role here, as colors again seem a tad more washed out in comparison to the G3. Audio playback on both devices are average when using headphones. Both also have their loud speakers facing out back, which is not ideal. However, a bigger issue is the fact you can easily cover up either of the phones' speakers with one finger, muffling the noise you would normally expect. I will say the G3 speaker gets louder than the X power, producing less of a tinny sound at high volumes. At the end of the day, the LG X power gives us good insight into what I might expect from a low to midrange device. This device is not meant to please those looking to win specification wars, or who use their phones all the time. Rather, the LG X power is more of a phone for a first time smartphone owner or for light users. If there is anything the X power shines completely in, I can definitely say it is battery life. I really wish LG would incorporate this into their flagship devices too. However, despite the LG X power being two years newer than our flagship in question, the LG G3, it still has notable disadvantages. First and foremost, the lower resolution display is not only lower in terms of the numbers game, but also in vibrancy, lacking the pop you might want from a phone. Secondly, this phone will not be winning any performance battles anytime soon, as the processor and RAM duo inside is capable of handling daily tasks, but higher demanding tasks like multitasking or gaming will suffer. Finally, the camera is mediocre at best, lacking in clarity and only average in color reproduction. Low light situations also should be avoided with the LG X power. Overall, the LG X power lives out the phrase of getting what you pay for. Going back to the question at hand, as much as I would like to give a concrete answer to the question we posed, drawing one from a single midrange versus a single high end phone would be quite unfair. Some midrange phones will offer better performance than what we have seen in the LG X power, while others may do worse. The same can be said about the ex-flagship phone we tested. The tradeoffs are definitely present, but considering you can get the X power for less than a yesteryear's high-end phone, it is quite understandable. Thus to answer the question, while it is the least satisfying answer to hear, I think it really depends on a personal preference. As for me, I would say buy the flagship phone, especially if it is only one or two years old for a generally better overall experience. 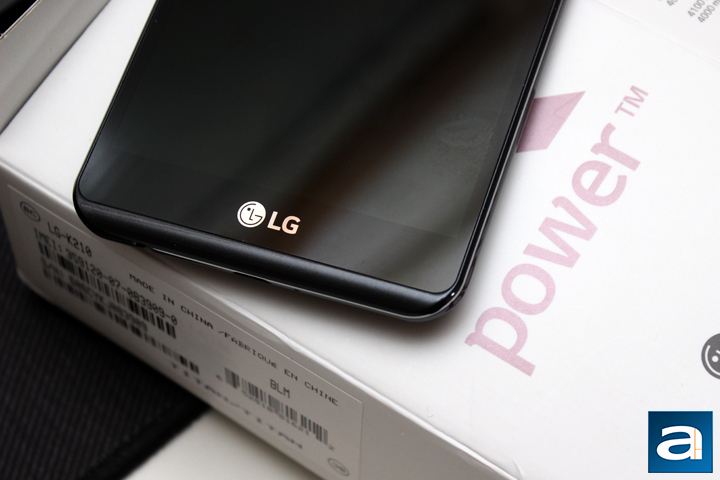 Do you have any comments or questions about the LG X power? Drop by our Forums. Registration is free, and it only takes a minute! posted 13 hours and 33 minutes ago, with 1 posts. posted 13 hours and 34 minutes ago, with 7 posts. posted 13 hours and 35 minutes ago, with 6 posts. posted 13 hours and 36 minutes ago, with 6 posts. posted 13 hours and 38 minutes ago, with 14 posts. posted 13 hours and 38 minutes ago, with 58 posts. posted 13 hours and 39 minutes ago, with 13 posts. posted 13 hours and 39 minutes ago, with 10 posts. posted 13 hours and 40 minutes ago, with 12 posts.